The 2015 Mitsubishi Lancer is a peppy little compact with a fun disposition and an ear towards practicality. This made it popular when the current-generation was introduced as a 2008 model. Now, however, it’s the last of the old design compacts and its age is beginning to spot. 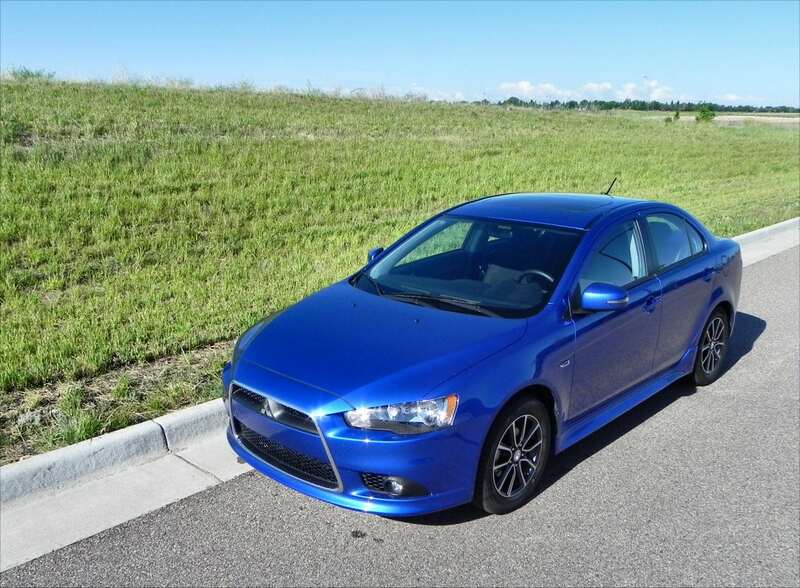 The 2015 Lancer is a solid little car with personality. When it first entered the market in its current guise, it stood out for its powerful front fascia, smart overall look, and excellent power and handling characteristics. Back when the financial crisis was first taking hold, those were unusual traits in a compact sedan. 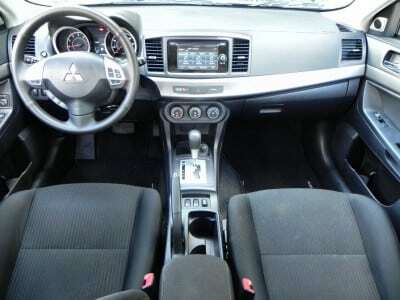 Yet the Mitsubishi Lancer kept its eye on practicality and price point, offering all of that fun in a fuel-efficient package with a price that put it on the same bargaining table as the best sellers in the segment. Fast forward almost eight years and the game has changed. The 2015 Mitsubishi Lancer is now one of the more mediocre offerings in the compact segment, besting some lackluster rivals such as the new Toyota Corolla, but missing the mark when compared to some of the more fresh and energetic offerings now available. 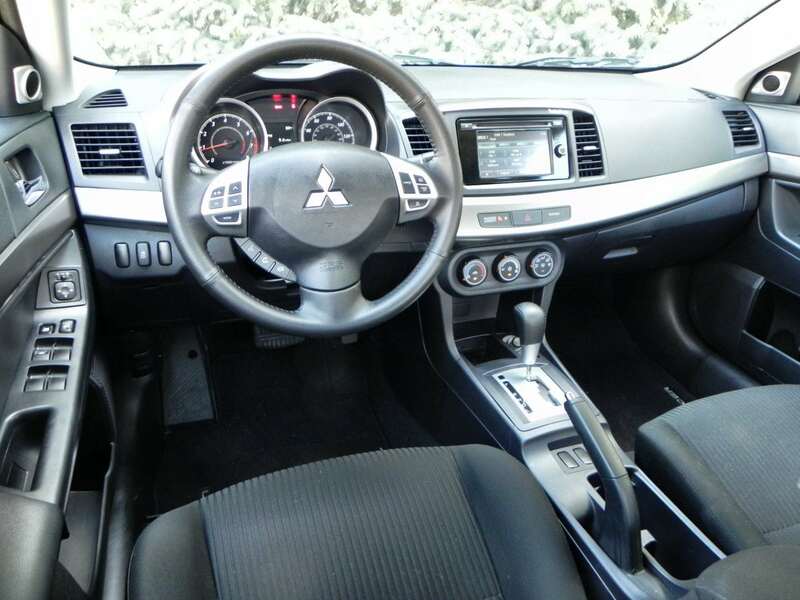 The Mitsubishi Lancer is offered in five trims, including the Evolution performance model, which sees its final year of production in 2015. Each trim point includes an engine, transmission, and some body and interior packaging upgrades. The 2015 Lancer retains the solid appeal that made it an eye-catcher in 2008. The wide-mouthed front fascia and grille, peering and aggressive headlamps, and strong hood lines make it look heavier-set than it is. 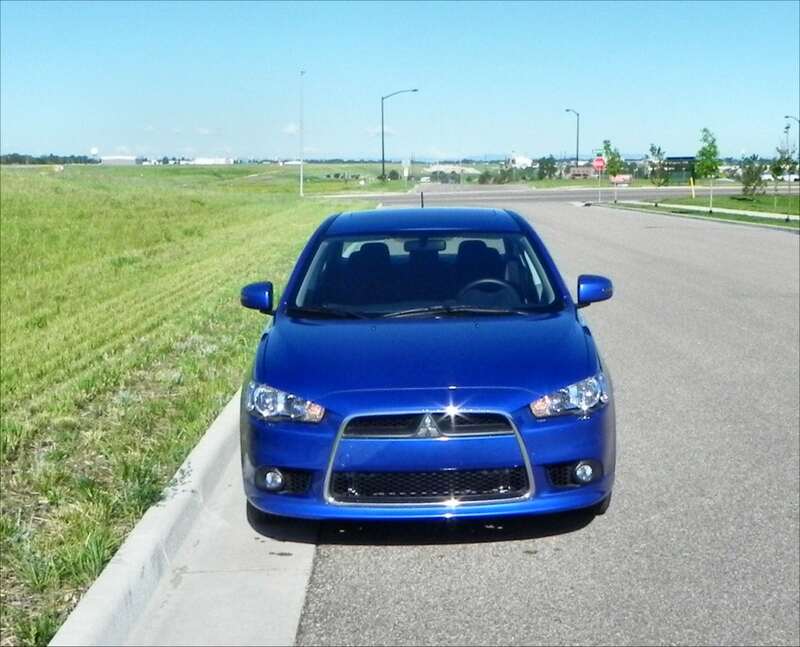 Sheet metal on the Lancer is simple, but curved to create a waistline at the bottom of the doors to accentuate the wide-shouldered look of the belt line and fast-curved roof. A short deck and tapering haunches make for a sleek, speedy look to the overall body. The style the Mitsubishi Lancer holds is one of front-heavy power and it’s as stand-out and powerful now as it was eight years ago. 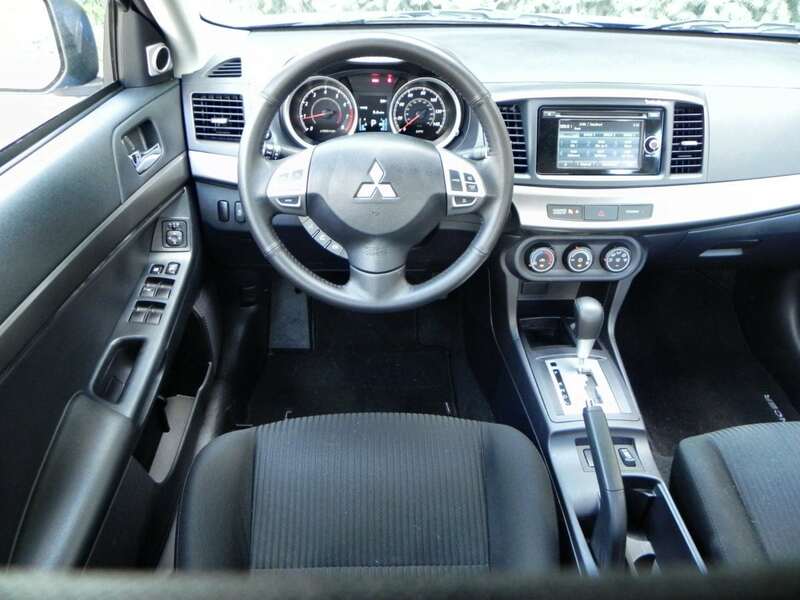 On the interior, the 2015 Lancer is plain and on a budget. 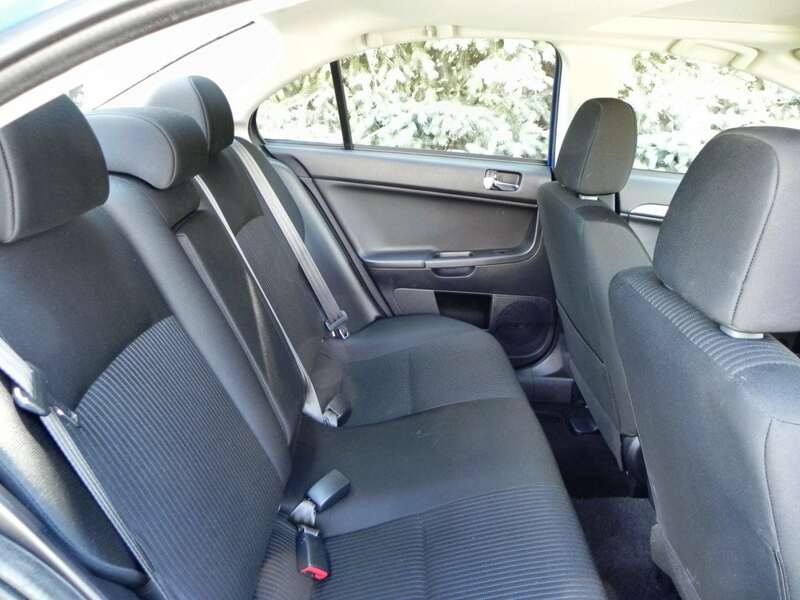 Hard plastics and good, but not necessarily high-quality materials are found throughout the interior of the car. 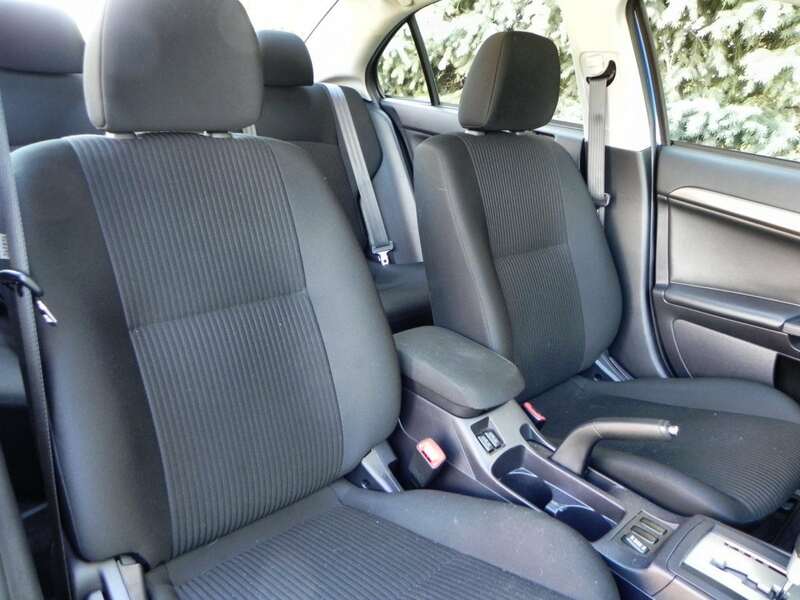 Seating is comfortable and well-done, with light bolstering to create the coddling effect that makes the driver and front passenger feel at home. Driver’s controls are well-positioned and although the styling is simplistic, the dash and front passenger’s compartment are well-done overall. Compared to others in the segment, however, the Lancer is falling behind in its interior adornment. 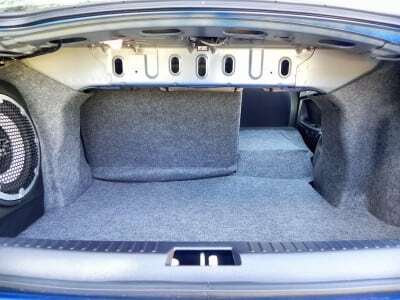 The back seat is good enough for kids and occasional use by friends, but leaves much to be desired on road trips or long rides. Cushioning is hard and relatively flat with little support. 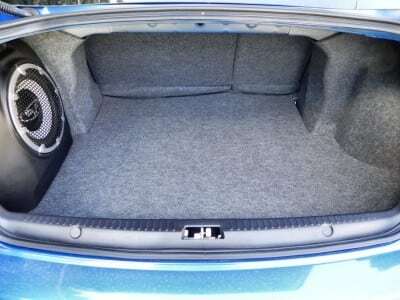 Trunk space is good in the Mitsubishi Lancer, however, with 12.3 cubic feet of space. 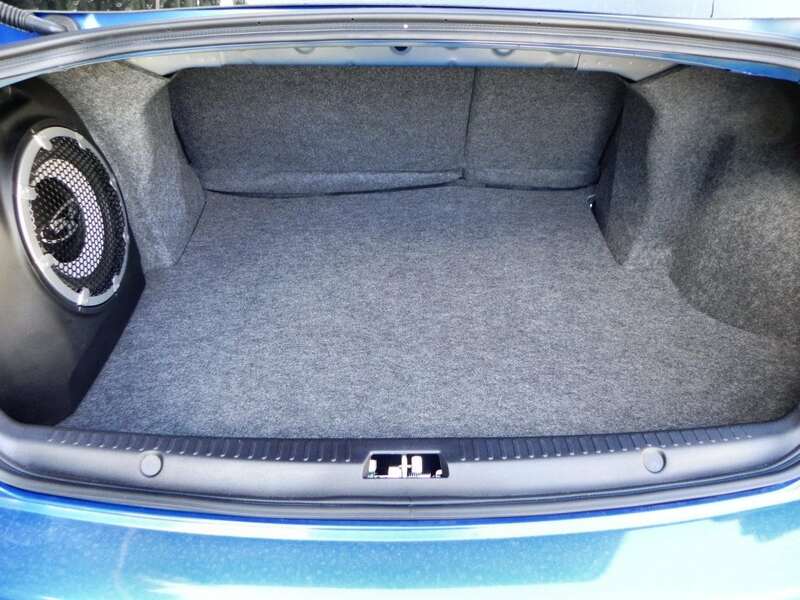 Opting for the Rockford Fosgate stereo with its subwoofer in the trunk drops that number of 11.8, however, with said woofer jutting out from one side like a bad reminder of the 1990s. Standard in all but the base model is a touchscreen interface featuring the Fuse infotainment system. This offers a modicum of technology options through the trim points, but is easy to use and has excellent voice-activation and pairs quickly with a smartphone. The 6.1-inch screen could have higher resolution, but the backup camera and menu options are clear enough as it is. The 2015 Lancer has three engine options and three transmissions to mate with them, not including the performance-oriented Evolution model’s muscular little powerplant. 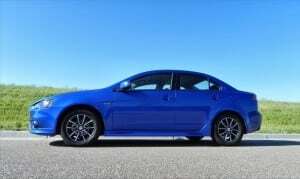 The base model Lancer has a 2.0-liter four-clinder engine that outputs 148 horsepower and 145 pound-feet of torque through either a five-speed manual transmission or an optional continuously variable transmission (CVT). The EPA rates this front-wheel drive only ES model at 29 mpg combined (26 city, 34 highway), which is respectable for the class, but not excellent. We note that the price tag for the manual transmission or the CVT option is the same, giving buyers a choice without cost difference. 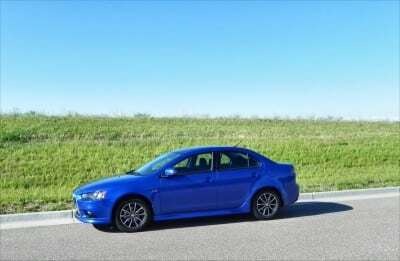 We drove the Lancer SE model, which, along with the GT trim, is powered by a 2.4-liter four-cylinder that produces 168 hp and 167 lb-ft of torque. The SE model is all-wheel drive only (Mitsubishi calls it All Wheel Control, AWC) and comes with a CVT as standard. The GT model is front-wheel drive and has a five-speed manual and the option of an upgrade to the CVT. The SE is EPA rated at 25 mpg combined (22 city, 29 highway) and the GT with a manual transmission is rated at 26 mpg combined (23/30). 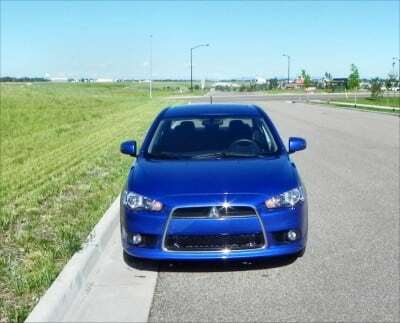 Finally, the Ralliart model has a 2.0-liter turbocharged four-cylinder that outputs 237 horsepower and 253 lb-ft of torque. This AWD speedster utilizes a Euro-style automated dual-clutch manual transmission with an active center differential. 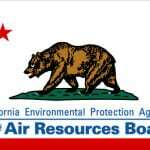 Fuel economy is EPA rated at 20 mpg combined (18/25). For our week in the SE model, we found the 2.4L engine to be peppy and responsive, but not memorable. 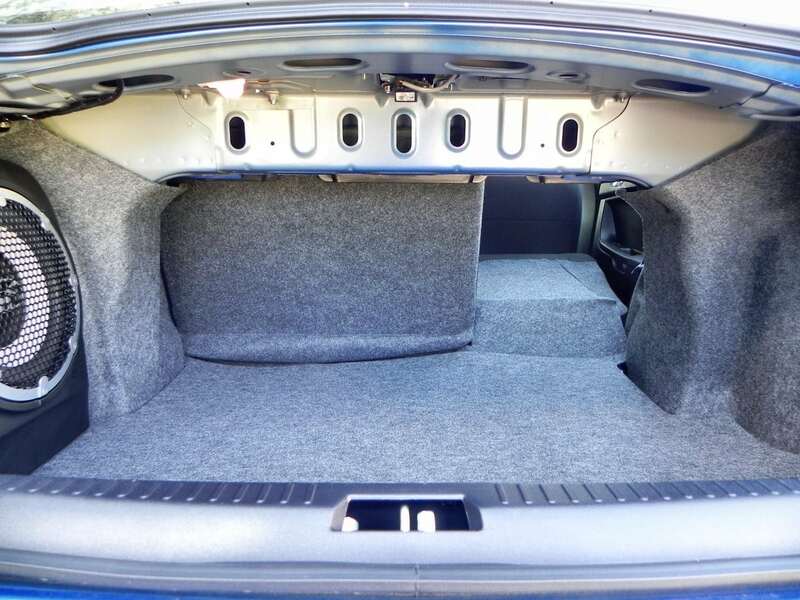 It does return a good sound for a natural four and it’s relatively quiet on the road when it’s cruising. 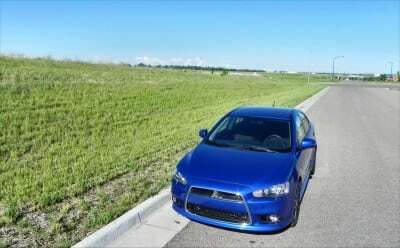 The Lancer is a loud car inherently, with little noise and vibration dampening by today’s standards, but is a confident drive. Out on the highway, the 2015 Lancer with the 2.4L proved well-tuned for passing and generally getting around. The fuel economy tradeoff going from the base 2.0 to the 2.4 was well worth the performance boost that comes with it, we believe. 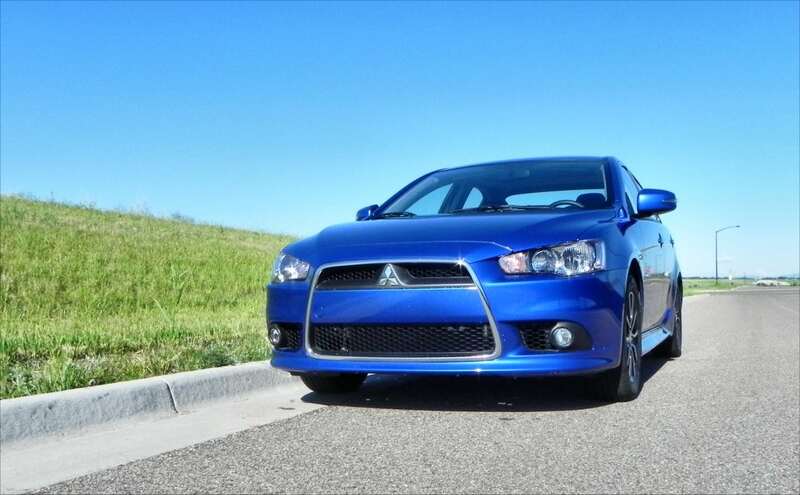 In all, the Lancer was a good little compact at a great price point. Other options on the market may be better, though. 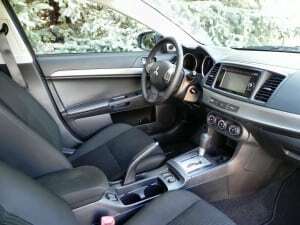 The chief competitor in the compact segment is the Toyota Corolla, which sees a few improvements from last year, but still has downsides in comparison. 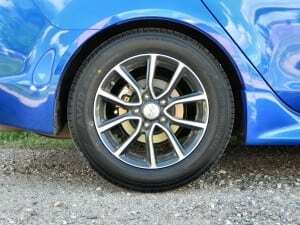 The Ford Focus is a great option for the sport-minded driver on a budget and the stylish Kia Forte is also a great choice. Our favorite in the compact market, though, is the Mazda3 with the Volkswagen Golf as a close contender. The Fiat 500 Abarth is also a fun option. Engaging drive compared to rivals. 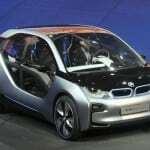 Excellent price point for its trim levels and equipment. 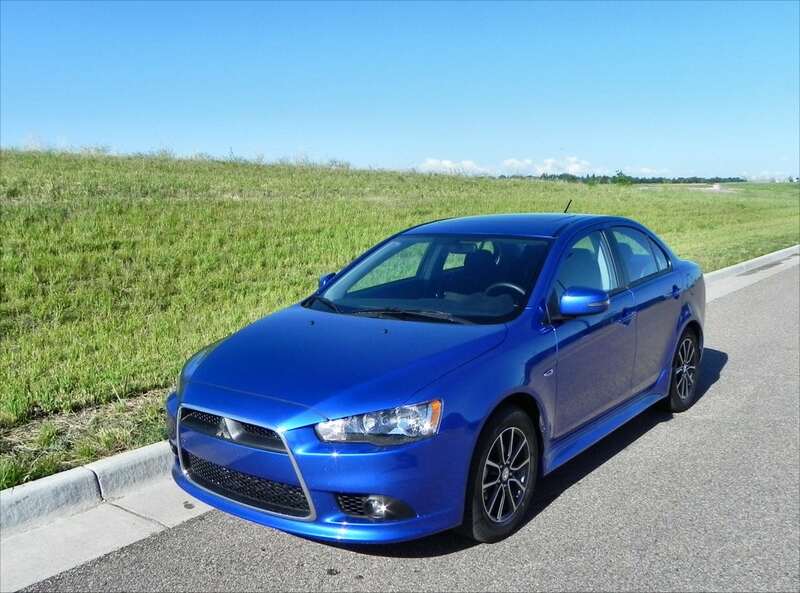 The compact car market is a contentious field on which the 2015 Mitsubishi Lancer clearly shows its age. 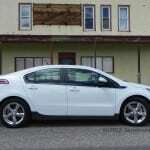 Its best attributes are its great exterior look and good daily driver performance with the 2.4-liter engine. The Ralliart and Evolution trims are always favorite choices for the sport-driving enthusiast. The Lancer was a manufacturer’s press loan for about a week. 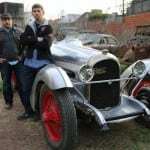 During that time, it was driven both in-town and on the highway/freeway for a total of about 200 miles.